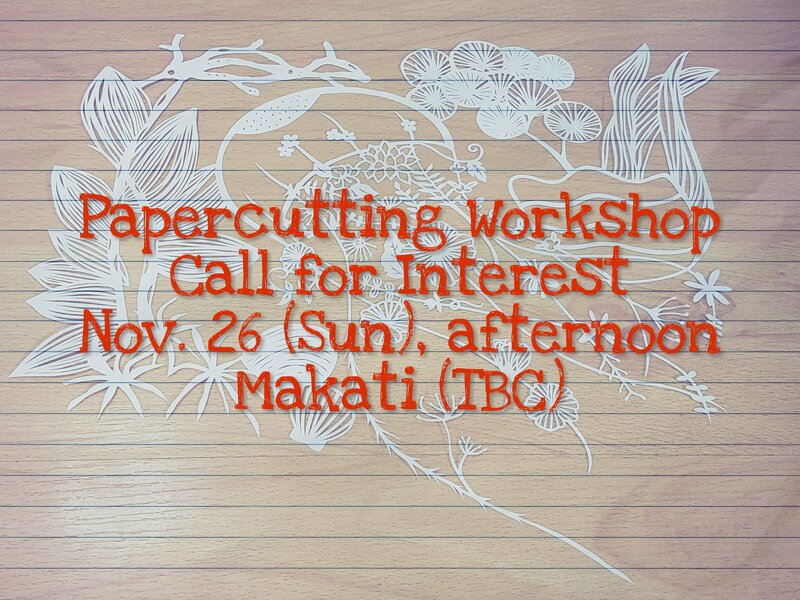 I’m planning to hold another Papercutting Workshop in Makati this November. If interested, please leave your details (first name and email address) in the Comments section. Cheers! This entry was posted in Uncategorized and tagged arts and crafts, craft, manila, Papercut, papercutting, workshop, workshops by wendypatricio. Bookmark the permalink. I’m interested.My name is Misty P.Reyes.my email is mistyreyes81@gmail.com.